What is success? The answer often depends on who you ask. For some, success is about constant growth and striving to achieve new accomplishments. For others, it’s about balance and finding peace and joy in life. There is no one-size-fits-all answer. Success is a personal pursuit, and at Saint Leo University, there are countless stories to document the journey. 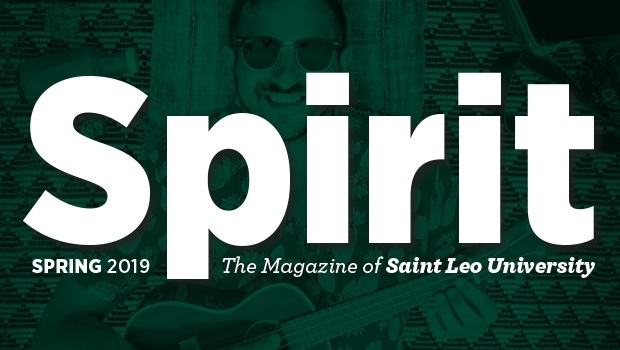 In this issue of Spirit magazine, we feature the stories of Saint Leo community members who are giving new meaning to the definition of success. Read some of their stories in the spring 2019 issue, which is now available online. We hope you will take time to check out the electronic version, as well as the Spirit website. If you need a printed copy of the magazine, please contact University Communications at news@saintleo.edu and provide your mail code.